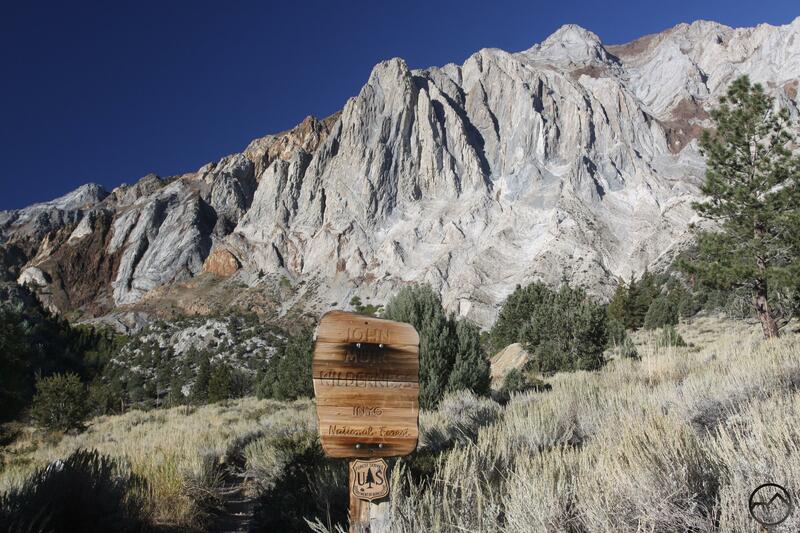 Entry into the John Muir Wilderness at the mouth of Convict Canyon. Although my new book is a guidebook, I did dwell on a few themes in an attempt to elevate it simply beyond a point by point hiking guide. I tried to tie the trails I selected together, giving them a something of a narrative and a greater purpose than simply being beautiful trails and exciting adventures, though they are those things as well. One of the themes that was built into the journey through Northern California was the idea of wilderness. One of the numerous criteria I had for the trails’ inclusion was that they travel through landscapes that were as wild as possible. Indeed, most of the trails in the book travel through designated wilderness areas, be they federal, state or even county lands. On a simple level, this makes sense because hikes are often best when exploring nature in an untrammeled state. Consequently, many of the best hikes are going to be found in lands that are managed to retain their natural characteristics. However, I think that there is something that more important, something essential about wild lands that often escapes notice but makes a great deal when considered. Over the course of the next year, I am hoping to develop these concepts in a series of posts on the idea of wilderness and why it is so important in today’s society. I wanted to kick the series off with something a little more simple. Over the years I have gathered a collection of the US Forest Service’s wilderness signs. These are found along trails as the paths enter a designated wilderness area. The documentation of these signs began back when I was in grad school in Texas. For four years I lived in the heart of the 4th largest urban area in the U.S. and whenever I was able to escape the city and get out into the mountains, passing these signs became a very welcome moment of escape. Of course, these are only for wilderness areas administered by the Forest Service. Wilderness areas are also maintained by the National Park Service, Bureau of Land Management and the U.S. Fish and Wildlife Service. These other agencies have their own way of marking wilderness boundaries but none are as aesthetically pleasing as those of the Forest Service. It is my hope that this series will be as interesting to read I as I think it will be to write! Love the pics, there is just something about the wilderness signs. I also make it a point to photograph the ones we come across. This blog is amazing! It really reminds me of being in Oregon visiting all of the state and national parks there. What you were doing in this blog post is awesome and really makes me want to go back out west. The next mountain I want to visit his Mount Shasta! Have you been there?